A nicotine patch or a nicotine skin patch is a medicated strip that is used by people to aid in cigarette smoking or smokeless tobacco cessation. A nicotine patch or a nicotine skin patch is a medicated strip that is used by people to aid in cigarette smoking or smokeless tobacco cessation. The nicotine patch may be described as a type of ‘quit smoking medication’ and is also known as a transdermal nicotine patch. Some of the brand names include Nicoderm® CQ Patch and Nicotrol® Patch. Nicorette® gum and lozenges are also a popular smoking cessation aid. This ‘medicine’ provides an alternative source of nicotine in lesser, controlled quantities for those who want to quit smoking by helping them cope with some of the withdrawal symptoms. Some of the symptoms of nicotine withdrawal are anger, irritability, other behavioral issues, slow heart rate, and increased appetite and eating. There is a constant craving for nicotine, which can get increased by certain trigger factors. 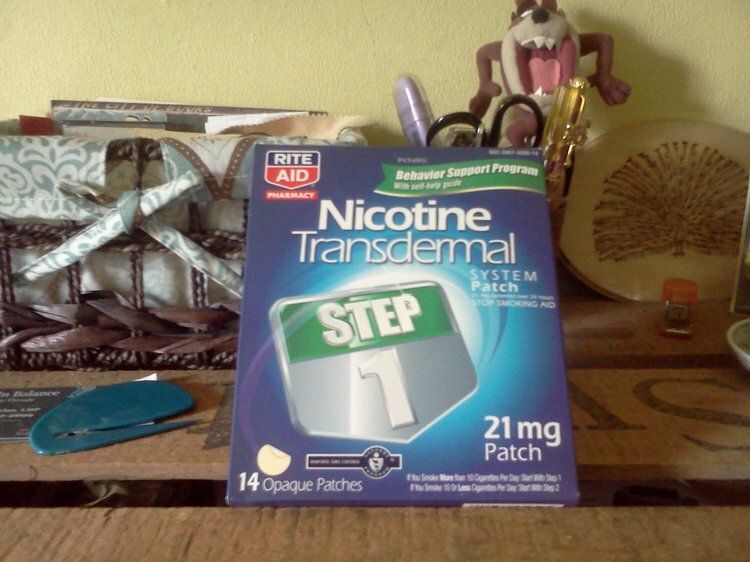 The transdermal patch is generally prescribed (and is effective) during the first few months after quitting smoking, and this form of treatment is known as nicotine replacement therapy (NRT). A transdermal nicotine patch resembles an adhesive bandage and is directly placed on the skin, as per instructions of the prescription label or healthcare personnel, which have to be followed closely. These patches are available in varying strengths, are usually applied daily based on a set time frame, and are retained on the skin for a certain duration of time. A nicotine skin patch is prescribed only after a careful evaluation of the individual’s health condition, current drugs being taken, medical history, allergy history, and smoking history. The medicated strip is normally worn on a clean patch of skin that is hairless and dry, but is not unbroken, oily, inflamed, or sensitive. It may be worn on the arm, chest, or hip, as per the directions provided. The patch is to be placed firmly on the skin and has to be worn continuously for a period that may range between 16 to 24 hours, even during washing or showering. The next patch is worn at a new location after proper disposal of the patch that is removed. Side effects are common to nicotine transdermal patches and these include headache, nausea, vomiting, and skin irritation or redness at the patch site. Sometimes, the symptoms may be severe with breathing difficulties, abnormal pulse or heartbeat, seizures, and severe skin rashes. The healthcare provider shall review each case and suggest reduced strength patches after a certain duration of time, like two weeks. Progressively in this manner, the medication dosage (or nicotine patch strength) is lowered in order to gradually adjust to nicotine withdrawal symptoms. According to the American Society of Health-System Pharmacists, nicotine patches may be used for up to 20 weeks. Any use of nicotine patches over or beyond the prescribed requirement should not be undertaken. This would include not making up for any missed doses by doubling the dose (or wearing two patches), but continuing with the recommended daily (regular) dose, per the American Society of Health-System Pharmacists. In case of an overdose, the Poison Control Center must be immediately notified or the emergency services contacted at 911. Hatsukami, D.K., et al. Treatment of spit tobacco users with transdermal nicotine system and mint snuff. Journal of Consulting and Clinical Psychology 68(2):241-249, 2000. Yudkin, P., Munafò, M., Hey, K., Roberts, S., Welch, S., Johnstone, E., ... & Walton, R. (2004). Effectiveness of nicotine patches in relation to genotype in women versus men: randomised controlled trial. Bmj, 328(7446), 989-990. Tiffany, S. T., Cox, L. S., & Elash, C. A. (2000). Effects of transdermal nicotine patches on abstinence-induced and cue-elicited craving in cigarette smokers. Journal of consulting and clinical psychology, 68(2), 233. Foulds, J., Stapleton, J., Feyerabend, C., Vesey, C., Jarvis, M., & Russell, M. A. (1992). Effect of transdermal nicotine patches on cigarette smoking: a double blind crossover study. Psychopharmacology, 106(3), 421-427. Shiffman, S., Elash, C. A., Paton, S. M., Gwaltney, C. J., Paty, J. A., & Clark, D. B. (2000). Comparative efficacy of 24‐hour and 16‐hour transdermal nicotine patches for relief of morning craving. Addiction, 95(8), 1185-1195. Teneggi, V., Tiffany, S. T., Squassante, L., Milleri, S., Ziviani, L., & Bye, A. (2002). Smokers deprived of cigarettes for 72 h: effect of nicotine patches on craving and withdrawal. Psychopharmacology, 164(2), 177-187.